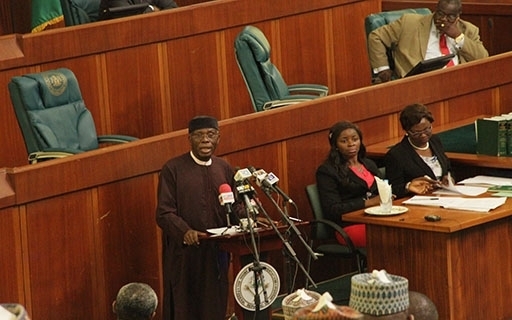 The House of Representatives has on Wednesday, May 4, 2016 referred to the Committee on political and Electoral matters, a consolidated Bill that seek to make provisions to address the lacuna in the event of the death of a candidate, any time before the conclusion of an election and to empower Election Tribunals and Courts to declare Candidates who score the second highest votes as winners of the elections. Other issues which the Bill seeks to address include to ensure that all political parties are gender sensitive and to eliminate all forms of discrimination. A co-sponsor of the Bill, Hon. Femi Gbajabiamila, while leading the debate on the general principles of the Bill stated that a key component of the Bill also wants to accommodate the use of Card Reader in the Electoral Laws as well as to increase the amount of money permitted as maximum election expenses to be incurred by Candidates standing for elections. In addition, nullification of elections by Tribunals or Court should be put in the right perspective, he said. Other sponsors of the Bill, Hon. Karimi Sunday, Edward Gyang Pwajok, Uzoma Nkem-Abonta, Olatoye Temitope Sugar and Raphael Nnanna Igbokwe took turns to adumbrate on the desirability or otherwise of the Bill as they appealed to the Members of the parliament to support their argument and prevent the recent electoral impasse in Kogi Sate Governorship election from happening elsewhere. However, the Minority Leader, Hon. Leo Ogor had a different view regarding the use of Card Reader, he informed that the Card Reader was almost declared illegal in a recent ruling by the Supreme Court. He opined that the Card Reader inadvertently shuts out several eligible voters from performing their franchise, calling it a violation of the fundamental Human Rights of the people; he however suggested that the system of electronic voting be captured in the Electoral Act. In a related development, the representatives passed for second reading a Bill which seeks to alter the 3rd schedule of the Constitution of the Federal Republic of Nigeria, 1999 to provide for Electronic Voting and other related matters, standing in the name of Hon. Edward Gyang Pwajok. Meanwhile, the House resumed the senatorial debate on Diversification of the Economy: real sector development during the plenary session where it played host to the Hon. Minister of Agriculture, Chief Audu Ogbe who delivered his brief where he advised that the way out of the current economic quagmire is to ride the lane of self-sufficiency and to focus on export goods like cocoa and palm oil. “We must begin to grow our own foods and wage an economic war against importation of excessive goods”, he emphasized. He informed that the Ministry of Agriculture is doing well in rice and beans production, reviving the cocoa industry, establishing a new market for bananas and conducting nationwide survey on fertilizer. Chief Ogbe stated that the Ministry is tackling the issues of competition, importation and inability to access finance through policy direction, however, solicited support of the parliament if the challenges are to be surmounted. He further stressed that factors such as high and inaccessible financial interest rate for farmers, youth restiveness, land revenue and problems of Extension Services need to be addressed. “Nigeria has the highest ratio of extension workers to the tune of 1:10 in Africa”, he stated. Responding to questions from the lawmakers, the Minister said that the way forward includes having a functioning Local Government system that will perhaps boost local production in the grassroots, and interest rate for agriculture should not be higher than 5%. He strongly advised against re-opening of the grazing routes across the country, citing waste of effort as reason if the routes would not lead to grasslands but farms.